Speaking to a friend about my upcoming trip to visit the vineyards of Cornwall he informed me that, being born there, he knew the area well and asked who I was visiting. One name that stuck out was Knightor as he had never heard of them and, I must confess, until I had planned my itinerary neither had I. In a moment of serendipity, the dull weather ushering in the start of October disappeared, and my trip coincided with what must have been some of the warmest weather ever seen in the UK for that time of year. Indeed I was informed at one vineyard that they had stopped picking for a few days to allow the remaining grapes to reap the benefit of the final ripening opportunity. 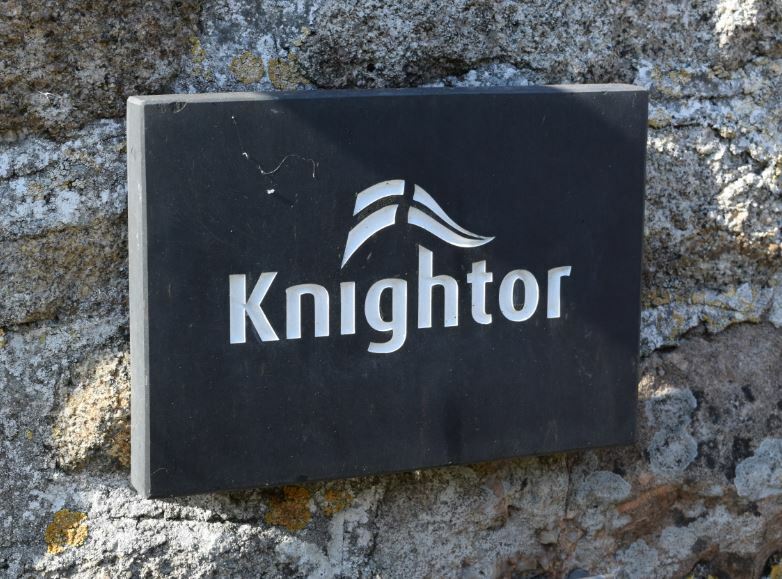 Knightor were born in 2006 when Adrian Derx left behind an IT career in London and purchased 32 acres outside of Seaton in south-east Cornwall. Coming from a family where his grandfather had owned a vineyard (in central Italy), this was a firm return to his ancestral roots. Following the first land purchase, Adrian further purchased 26 acres at Porthscatho in 2007, planting 6-8 acres of it with vines the following year. To cap off his two vineyard purchases, in 2011 Adrian then purchased a derelict complex of buildings in Trethurgy, just outside of St Austell. These have now been transformed in to his winery, cunningly equidistant between both vineyards for ease of transportation, and just around the corner from the major Cornish attraction The Eden Project, for which Knightor now also produce ‘Eden’ branded wines. The first wines under the Knightor name were released in 2012, and won instant acclaim from wine critic Matthew Jukes who called the wine “expertly made” and “very impressive”. Grapes are all handpicked and production levels fluctuate between 46,000 bottles in 2014 to the 34,000 bottles produced in 2013 and expected from the 2015 harvest. The poor harvest of 2012 produced only a mere 12,000 bottles. I was very surprised to learn that this limited production is split over an (expanding) number of different labels. Approximately 50% of production goes to sparkling wines (A Brut NV and a Rosé NV), with the remaining crop servicing 9 other still red, white and rosé wines. The eclectic mix of grape varieties grown include regular UK choices such as Bacchus, Reichensteiner, Chardonnay and Huxelrebe, alongside other rarer types such as Madelaine Angevine, Siegerrebe and Schoneburger (which they have to brand as ‘Mena Hweg’ (Cornish for Sweet Hill, which is what Schoneburger translates as) due to the low alcohol level being completely distinct from German bottlings). The wines are all presented with lovingly designed labels showing map images of the local area and, in a further nod to the wines speaking of where they come from, the sparkling wines are topped off with capsules made from Cornish tin. Replacing original winemaker James Thomas is Italian winemaker Salvatore Leone, who joined the team last year to juxtapose his experiences in warm Sicilian conditions with our cooler climate here. I spoke to him at length about these differences to which he stated that he basically flips his knowledge over completely so that, something he would never consider doing in Italy is potentially plausible here. The team have a handful of used French oak barrels (not currently used to impart any flavour characteristics, but merely to affect mouthfeel) to complement their otherwise stainless steel operation but, whilst I was there, Salvatore revealed that they had just purchased 3 new American oak barrels to be used for their Chardonnay offering. In conjunction with this, some Bacchus will also be tried in oak to emulate a growing trend for Bacchus Fumé wines. The winery tour lasts approximately 1 hour and costs £8.95 per person. This price includes a full tour of the winery buildings (and access to the winemaker if he’s about) and experimental vines (not used in the commercial wine venture) that are on the winery site. Greenhouse conditions generate additional heat enabling the production of small quantities of varieties such as Cabernet Sauvignon which wouldn’t thrive in the standard UK climate, but at this time the vines exist to ensure that visitors do get to see some on their trip (no self-respecting wine tour is complete without them!). For me it does throw up thoughts as to what possibilities there are to cheat nature and produce solid red wines in the UK, even in small quantities. Is there a way to balance the additional costs of setting up the greenhouse environment in to a wine at a reasonable price-point? Also included in the price is a visit to the tasting table which shows approximately 5 different wines (we were lucky on our day that extra wines were already open and so we got to try more). As the whole operation is run by a small, and fully working team, booking for the tour is required, but there were no problems arranging the visit and I can’t think of any way that the team could have been more friendly. It is well worth a visit, and I naturally reciprocated buying up some of my favourite wines from the tasting table, although this does bring me on to my only niggle of the trip which was the pricing of some of the sparkling wines. Currently the Brut NV retails for £27, with the Rosé NV retailing at £33. When I heard that from next year they will be introducing a vintage 2011 sparkling I naturally asked what the price-point would be, to which I was told circa £40. At this price we’re above well established brands like Moét, and so I do wonder what the future holds from that aspect. As I work my way through the range of wines in proper tasting conditions over the next few weeks, I will post my thoughts up here to fully document my experience with Knightor wines. Enjoyed this article? Please take a moment to ‘Like’ and share using the buttons below. Keep looking around my site for more of the same. Cheers!